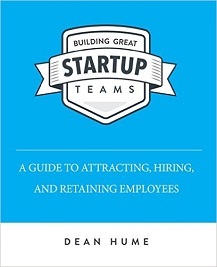 Dean is the CTO of Settled.co.uk, a rapidly growing tech start-up in London. They are revolutionising the way people buy and sell homes making the process far more efficient and less of a headache for everyone involved. He is also the author of 3 books and an avid triathlete which are certainly non-trivial things to complete. He shares great insights into running and growing a successful team and of course personal insights on being a human and culturing a growth mindset. Don’t expect anything for free, just approach things sensibly expecting them to cost you time or money. be nice and genuine to everyone you meet without expecting stuff back. Then anything you do get you can be extra grateful for and will likely end up getting more in the process. Bonus — Test your idea first before building it! An interesting fictional story used to highlight the main issues that cause teams to become ineffective. The conversations in the book really show how to remedy a bad situation and get buy-in from others. A fantastic fictional writer who focuses on historical-themed novels across the globe. Whenever travelling I love to read a book by Bernard Cornwell if he has written one in that country. His amazing imagery and storytelling really get you into the mindset of the character and they are always a great ride. So many insights on hiring decisions, building the culture and getting the best out of everyone. Great read! 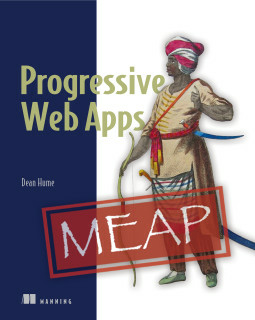 A useful book to get into the world of PWAs. Save time on developing native apps you don’t need when you can deliver a better experience through the web. If you enjoyed the podcast please subscribe and rate it. And of course, share with your friends!